This standard originates from ASHRAE 90.1, a standard recommending minimum requirements for energy efficient designs for buildings. This distinction…”building”…is key. Unlike commercial buildings (office spaces, shopping complexes, etc.) data centers are some of the largest consumers of electricity and serve a very different function. With 90.4P, ASHRAE seeks to supplement 90.1 with more focused requirements for data centers and telecommunications buildings. This includes considerations including design and construction, operation and maintenance, and utilization of renewable resources. For example, aside from several notable exceptions, ASHRAE 90.1 requires the use of air-side or water-side economizers and is not considered to be technology agnostic. To address this shortfall, 90.4P does not prescribe the use of specific technologies and allows flexibility in meeting compliance requirements. Another notable aspect of 90.4P is how the standard defines a data center as a conditioned room, space or building with an IT equipment (ITE) load of more than 10kW and a power utilization greater than 20-watts per square foot. By this definition, the standard applies to small-scale, edge deployments to massive, multi-megawatt systems. While the second public draft allowed for using a Power Usage Effectiveness (PUE) approach to meet compliance requirements, the third draft has eliminated this option. The standard specifies Mechanical Load Components (MLC) and Electrical Loss Components (ELC) targets based on geographical location. Simply put, the MLC is the ratio of total mechanical load to ITE load and ELC is a calculation based on the losses of incoming service segment, Uninterruptable Power Supply (UPS) and ITE distribution. ITE loads are the most significant component in a data center’s power consumption budget. In my opinion, the standard would benefit from the addition of ITE efficiency requirements. Yet there are no efficiency targets for ITE in 90.4P. This is meaningful because ITE power consumption influences the Mechanical Load Component (MLC) metric; ITE power consumption falls in the denominator of this metrics. This practice suffers from the same drawbacks as the Power Usage Effectiveness (PUE) metric which also ignores the losses stemming from ITE. The result is that certain energy saving technologies may be overlooked due to this omission. For example, the use of fan-less servers might lead to an increase in MLC, but the overall energy consumption of the data center could go down. Therefore, it is important to look at power consumption system wide, considering all elements involved. This would allow a holistic approach to data center design and equipment selection. When it comes to establishing a data center’s energy efficiency performance, PUE is the de facto standard. With the introduction of MLCs and Electrical Load Components (ELCs), we now have metrics that can be used to characterize the mechanical and electrical systems separately. All of these metrics together paired with a standardized design can be used to define the data center energy efficiency ratings for different ITE loads at the full stack system level. In a similar way that chiller efficiencies are calculated using the Coefficient of Performance (COPs) or Energy Efficiency Ratio (EER) metrics, ELC and MLC can be used to rate the energy efficiencies of, for example, standardized data center modules. These ratings will make it easier for a data center system designer to select the right products and technologies to optimize a data center’s energy efficiency design. Water consumption metrics are noticeably absent from 90.4P. Considering that water is a critical resource and is under ever-increasing scrutiny in the data center industry, this oversight will need to be addressed. In 90.4P, incentives to drive MLC and ELC lower could come as a result of increased water consumption. In certain locations such as California, currently facing one of the most severe droughts on record, high local water consumption is not a sustainable situation. To really study the impact of water usage, we propose that having an understanding of the entire power generation supply chain. As an example, power generation that utilizes no or little water in the generation of electricity can support a data center design using air cooled chillers. Even if an air cooled chiller might require more electricity, the overall water consumption is greatly reduced. On the other hand, power generation requiring a lot of water might not favor an air cooled chiller design since water consumption at the data center level is now transferred to the power generation site. The net water usage may be reduced in the overall power generation to power consumption cycle by designing data centers using less power but more water versus designing data centers that uses more power but less water. 90.4P is geared to point of use analysis only and a full power supply chain view for water consumption would be beneficial. Similar to the location based efficiency targets, there should be a power generation based water consumption target included in 90.4P. In a 2014 Data Center Industry Survey by Uptime Institute the average PUE improved 32% over time, starting at 2.5 in 2007 and decreasing to 1.89 in 2011, and further improved 11% by 2014 dropping to 1.7. 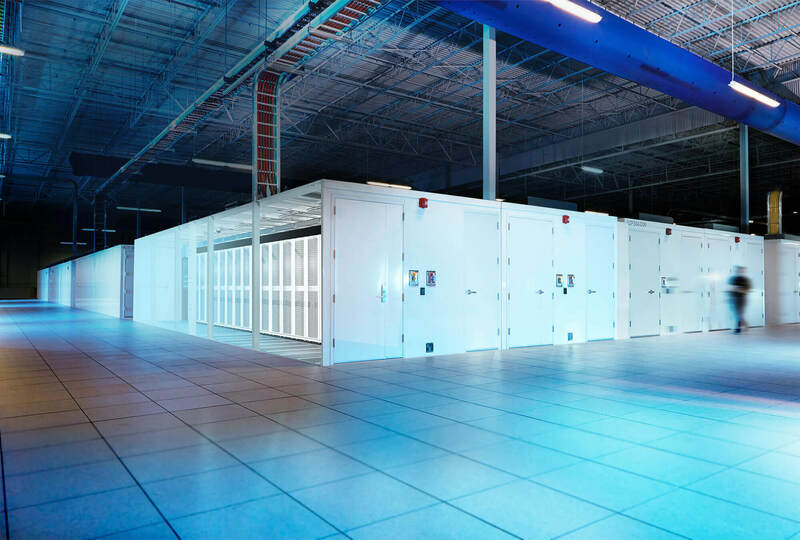 Further efforts to reduce an existing data center’s PUE are hampered by the law of diminishing returns and data center designers started to look at alternative ways to measure and assess data center designs and investments. This is where standard 90.4P is highly beneficial by offering data center designers all over the world efficiency targets based on location. The operation of data centers also influences power consumption greatly. Some data center operators maintain lower server supply air temperatures than required, some as low as 15°C (59°F), based on the premise that lower temperatures are better. With the introduction of ASHRAE Thermal Guidelines, this practice has considerably improved for the better. Power metering and reporting is an important step towards recognizing these losses in the data center system. This provides insights into the operational efficiency of the data center. Currently 90.4P is a design standard which focuses on efficiency targets during the design phase of the data center. The inclusion of metering and operational efficiency targets would elevate this “design only” standard to a much more powerful level. The standard 90.4P is big step forward for the data center industry, with room for continuous improvement. Similar to Thermal Guidelines for Data Processing Environments that introduced the allowable and recommended inlet conditions for operating ITE, Standard 90.4P provides a target efficiency metric. The industry operators benefit economically and socially using Standard 90.4P to design, construct and operate data centers. The third draft is available for review at: https://osr.ashrae.org/default.aspx.